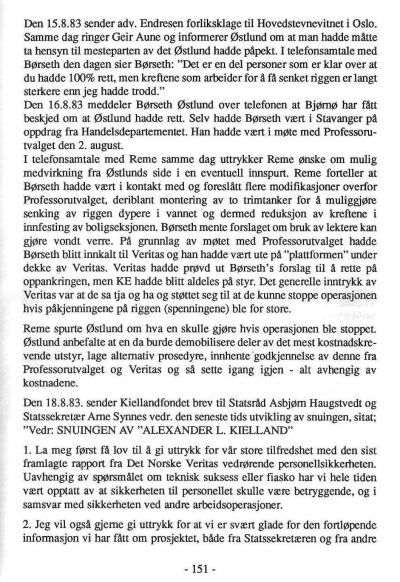 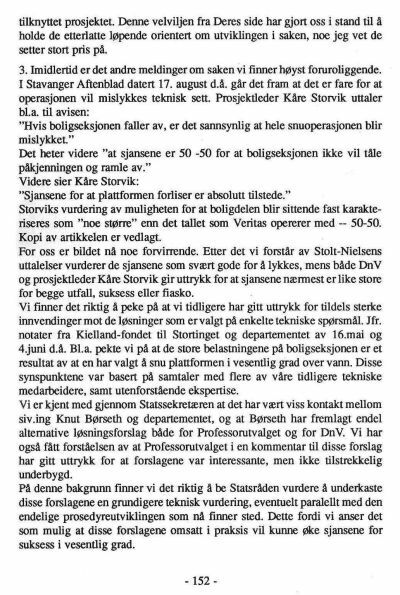 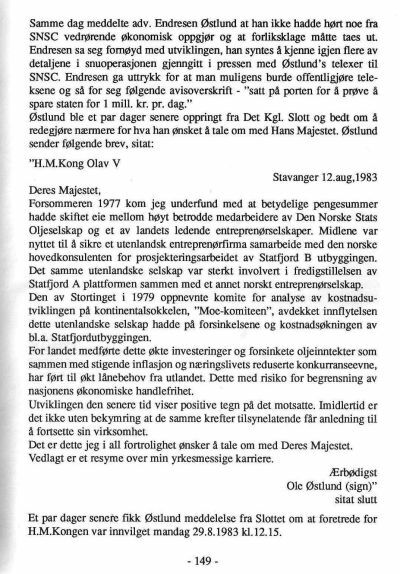 THANKS TO KING OLAV V ! 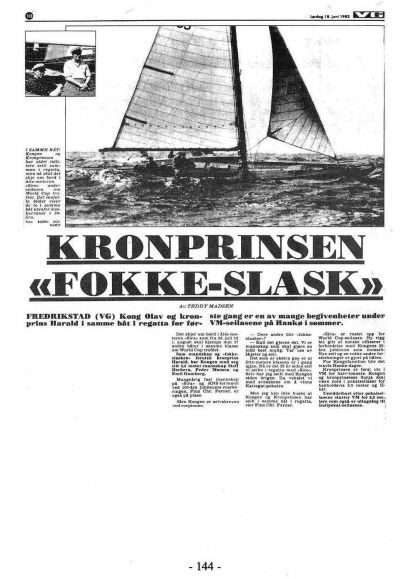 The second uprighting attempt of the capsized accomodation rig Alexander Kielland was as the first uprighting attempt,engineered to fail. 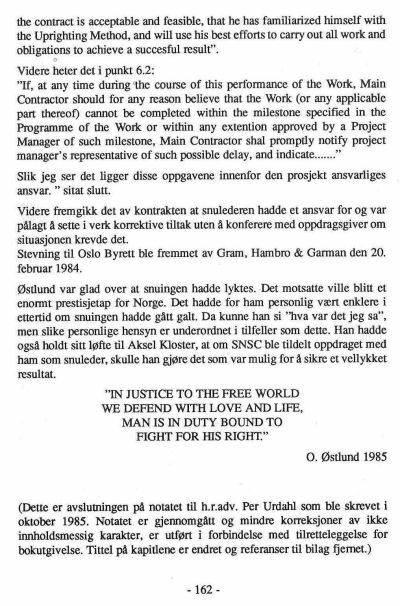 The players were the same as involved with Statoil on the Norwegian Continental Shelf and Occidental on the Scottish side. 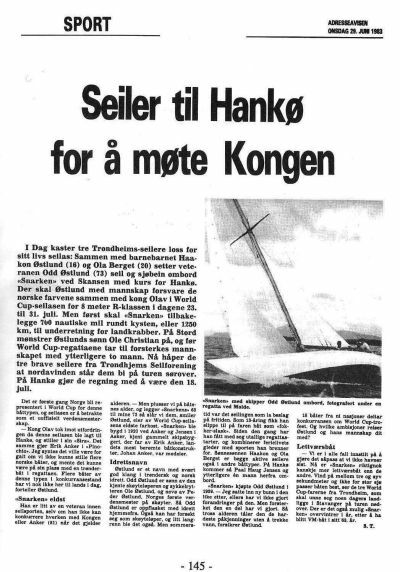 The second uprighting was critical from start ! 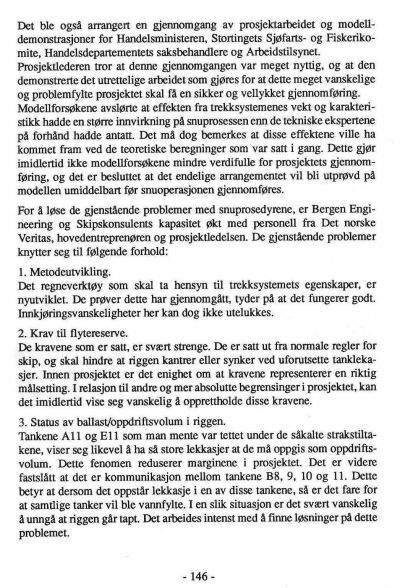 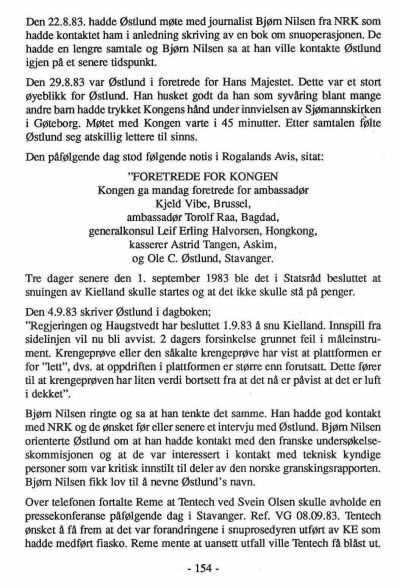 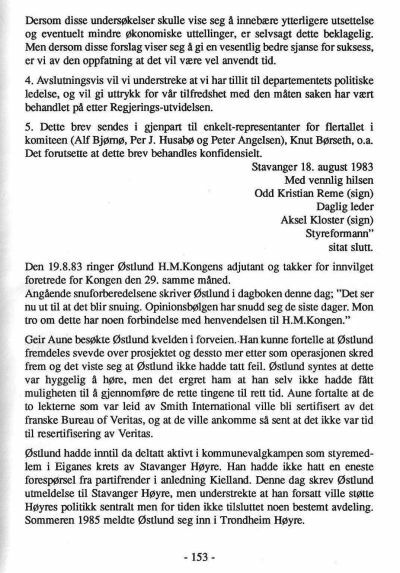 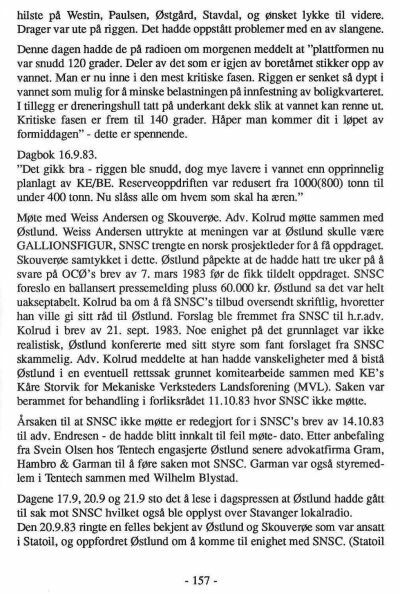 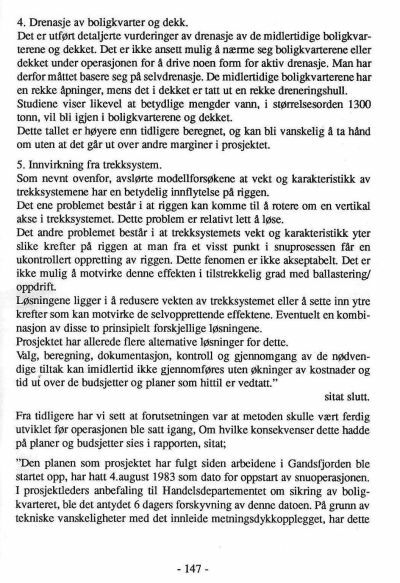 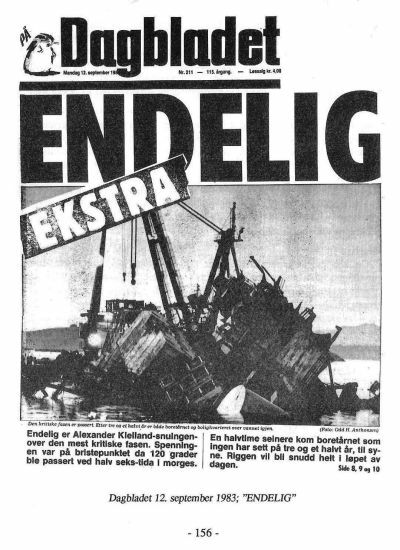 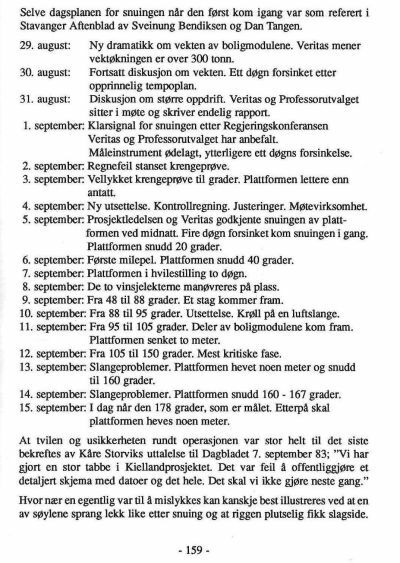 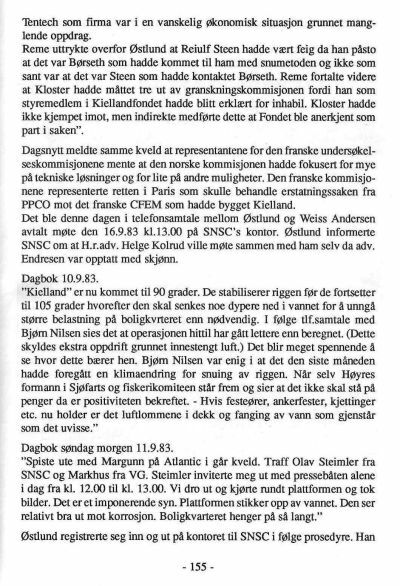 When the Norwegian Parliament on April 14th 1983 decided to go for a second uprighting, DnV approval of the procedure was not in hand. 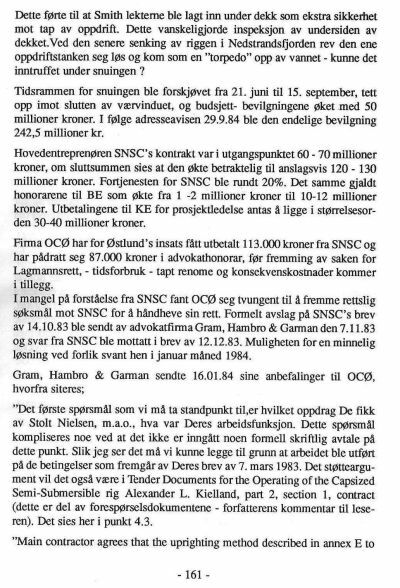 The Parliament did not notice? 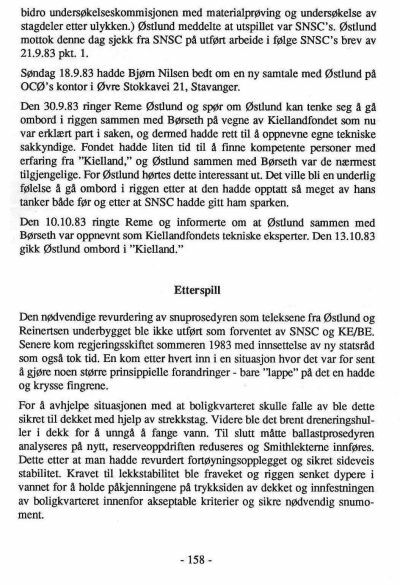 was applied into the "system" to cut through the hang ups. 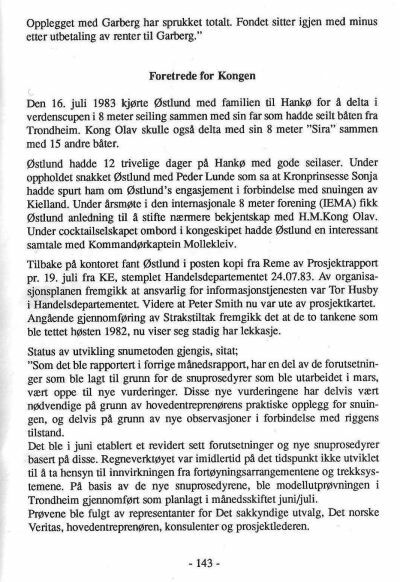 and meeting the King in his Oslo castle on August 29th. 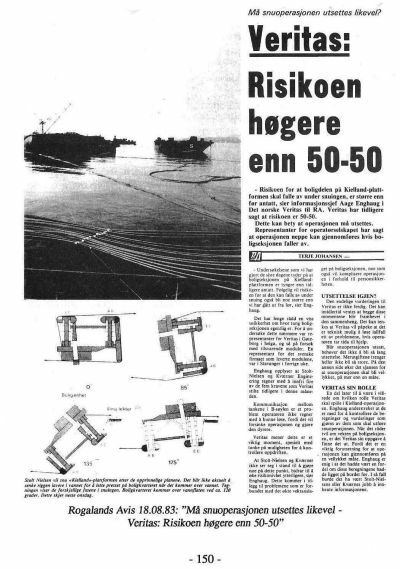 1983.
who was fired, when DnV approval was not in hand, and he called for independent design review of the uprighting procedure in accordance with contract requirement, Quality Assurance NS 5801 (ISO 9001). 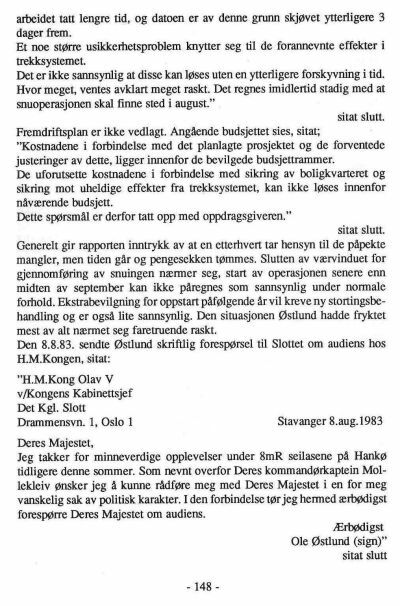 would have been forced to leave office.